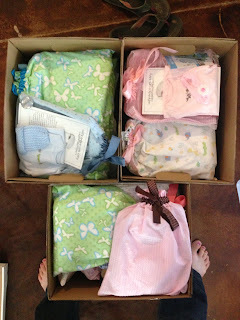 We officially donated 30 kits to Phoenix Children's Hospital and 30 kits to Good Samaritan Hospital yesterday! We now have kits at these facilities as well as St. Joseph's Hospital. 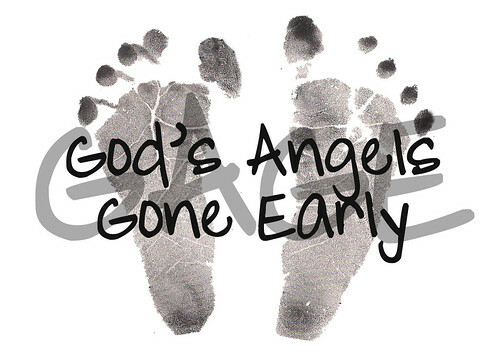 I hope that these kits will help other families who experience the loss of a child. I am so grateful to everyone who has donated to our organization. Donations are the only way that we have been able to make and supply these facilities with our kits. My goal is to start collecting items again and begin making more kits to donate to even more local facilities. 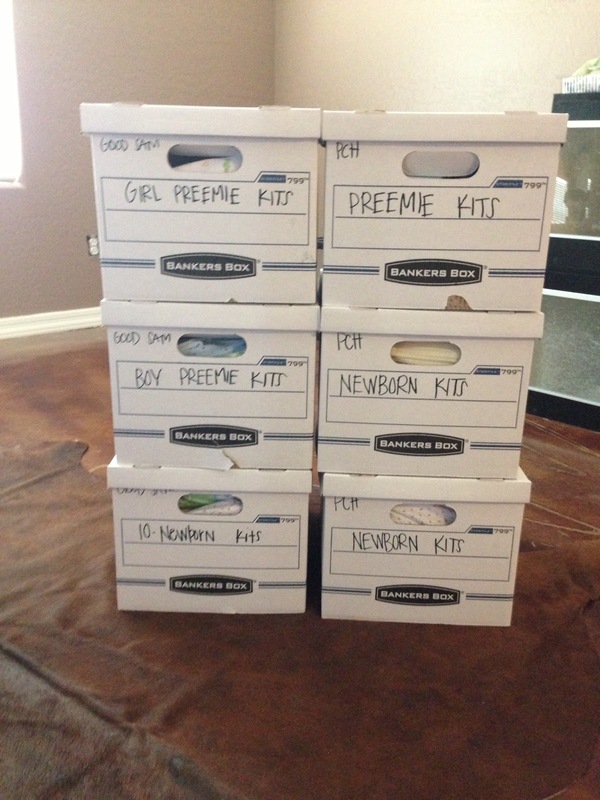 We currently are in most need of preemie/newborn outfits for both boys and girls as well as journals. Any donation of items or money is greatly appreciated! Currently we are in most need of journals and preemie/newborn size outfits for both boys and girls. Any items (blankets, hats/headbands, outfits, journals, Forget-Me-Not seed packets, and "remember" magnets) are always appreciated! !